To get the correct size, remove the belt you currently wear and measure from the buckle fold to the hole you normally wear the belt on. 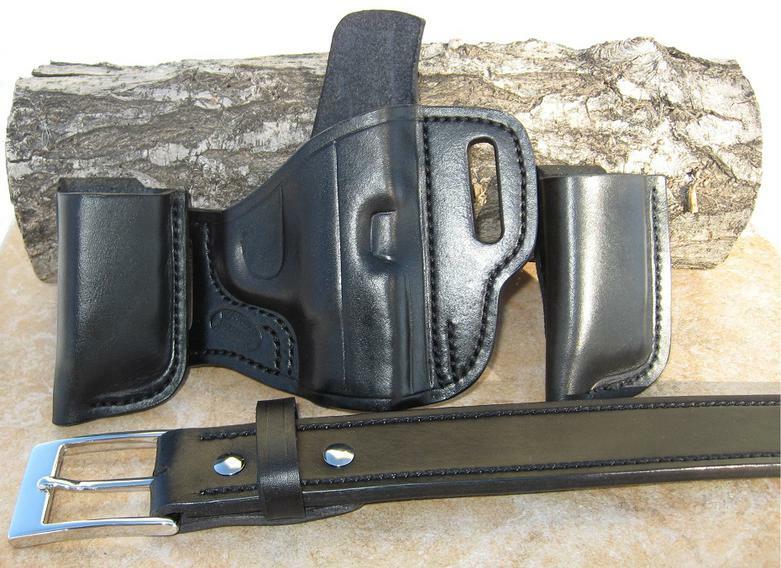 If you are going to be carrying IWB, add two inches, or put the holster on and measure to that hole, as it will be a larger size. 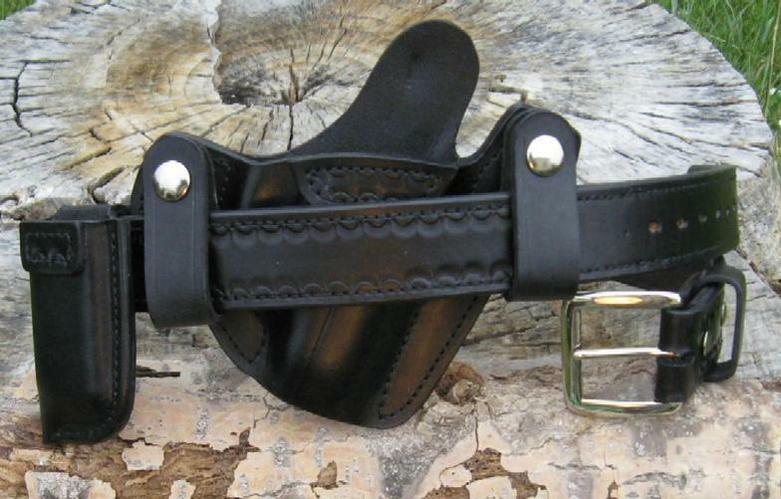 This is a sturdy, comfortable gun belt made from two pieces of leather, with a width of just under 1 1/2 inch and 1/4 inch thick. It will support your pistol well. 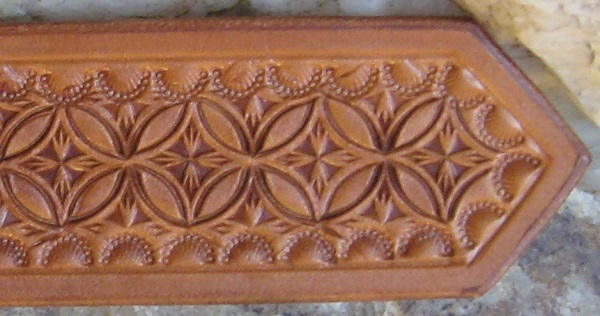 Border stamping is offered for an additional $20. 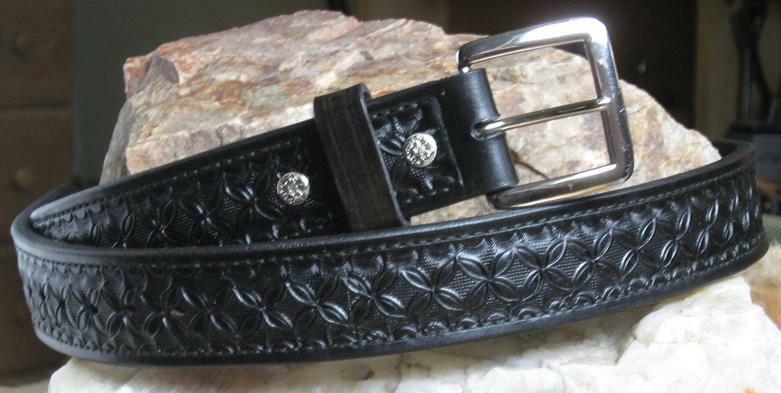 An extra charge of $10 has to be made for belts over 44 inches since the leather cost that much more. 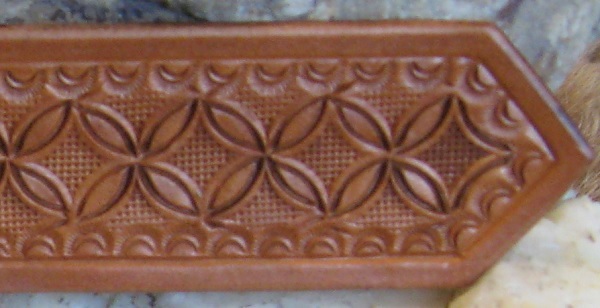 Other custom stamping and tooling is available. Contact me if you plan on using your own buckle!